The grizzly bear is probably the most feared animal in North America. Grizzlies can be black, blond or any color in-between. 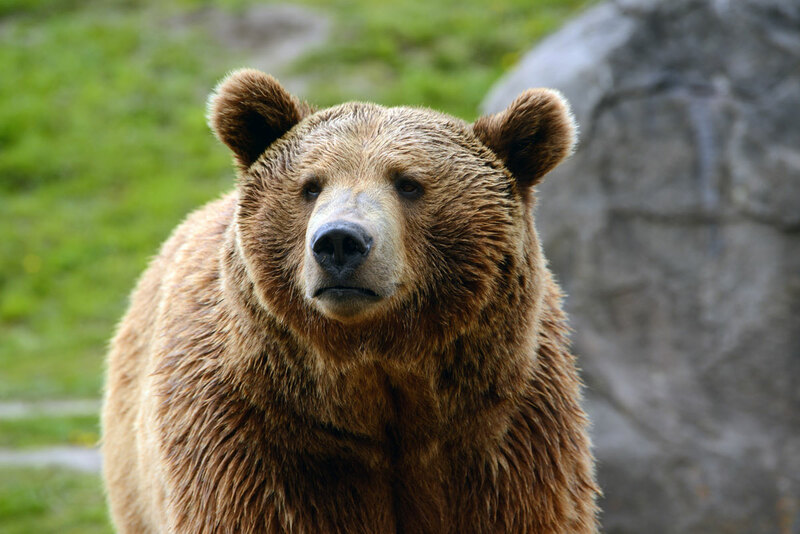 But no matter what color they are, most grizzlies have whitish-tipped hair?thus the nick-name "Silver-tip." The most prominent feature on a griz is the hump over the shoulders. Montana holds a significant portion of grizzly habitat, but even in places such as Glacier and Yellowstone National Parks (where grizzly populations are concentrated), grizzly sightings are rare. Grizzlies and humans usually keep their distances. But when encounters do occur, they can end in serious injury or death. The best thing to do to avoid a bear attack is to plan ahead if your trip includes bear country. Always carry bear deterrent spray if you are going into these areas.